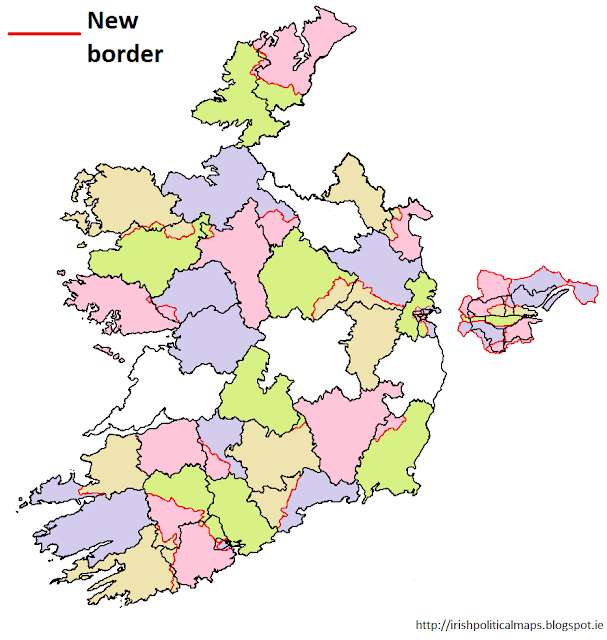 The fifth incarnation of the constituencies of Ireland came about in 1961, but lasted only 8 years before they were redrawn yet again. The government of the day was able to review or change boundaries as it saw fit, and this was to happen quite a bit in the 1960s and 70s. 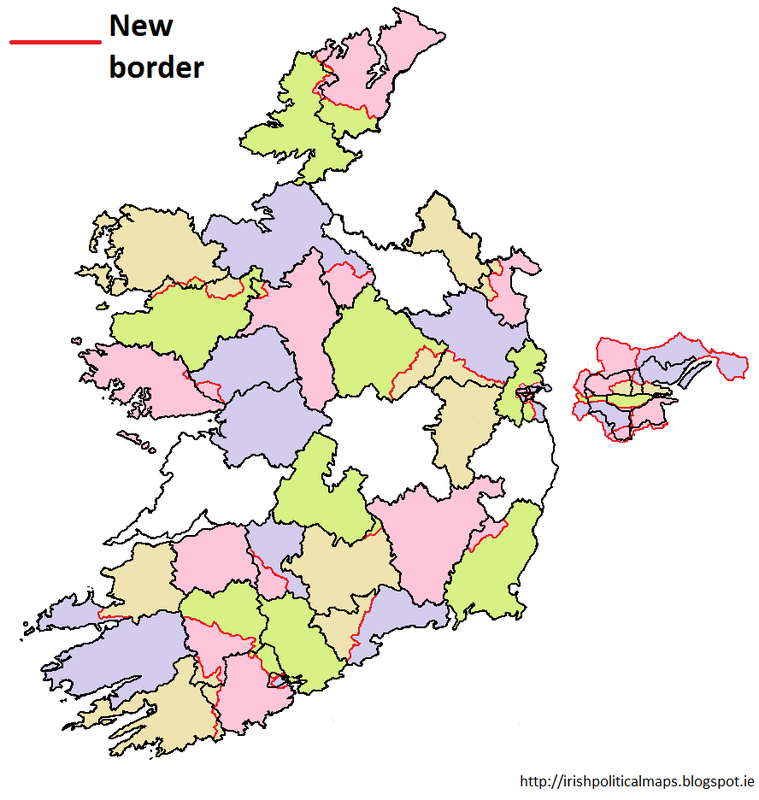 The 1961 retooling saw many boundaries changed: Kildare and Tipperary South in particular received vastly different boundaries which spilled over into neighbouring counties. The Dublin constituencies were also redrawn, with the city constituencies encompassing more space than before, but the old names were kept, as was the case throughout most of the country. Galway, Donegal and Cork received wholly new constituencies, with the abolition of some old ones. These constituencies served the 1961 and 1965 general elections, the 1968 referenda (one of which was concerned with the rules for redrawing constituencies) and the 1966 presidential election. The number of seats in the Dáil remained unchanged at 144.